We believe in the importance of reading which often leads to stronger writing. 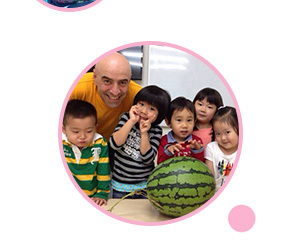 This course provides a solid foundation for children to build their English and improve their communication skills. This portion focuses on music, dance, and art. 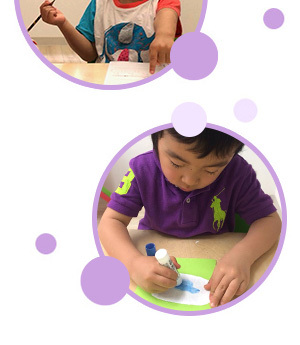 While having fun, children are able to fully express their personality and build confidence in what they love to do. This essential portion is about Math, Cooking and Outdoor activities. 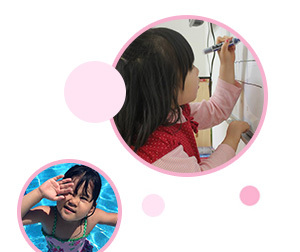 We help children build useful skills for everyday activities. By encouraging positive habits, we hope to allow our children to excel in different forms. 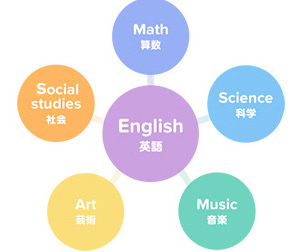 This area focuses on the Sciences, Social Studies, Japanese and Speaking. We aim to prepare children for future educational needs such as school or extracurricular activities.